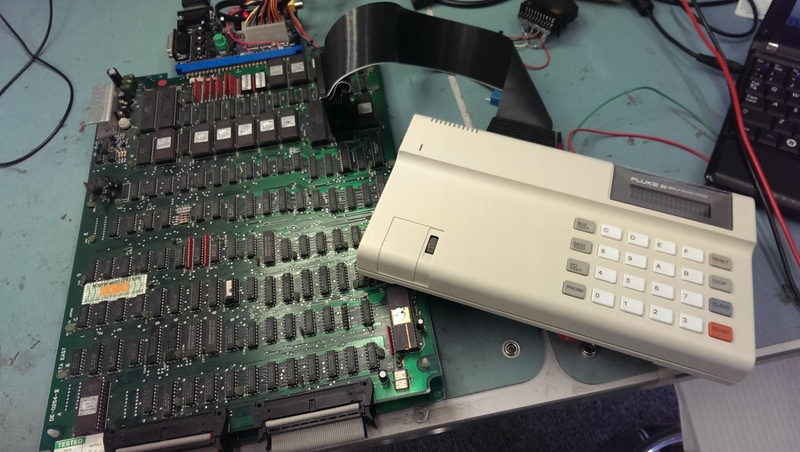 I’ve come to the conclusion that I will probably never own the 6809 pod for the Fluke 9010. Accepting this fact led me to find a Fluke 90 6809 tester. These things are a far cry away from the capabilities that the Fluke 9010 offers but they still offer some decent functionality. I got one of these from the US quite recently and it was, as far as I could tell, unused. It was still in its wrapping and is in pristine condition. Ive got a couple of games that use 6809 CPU’s to hand so thought I would give it a try out. I first pulled Breywood out and clipped the test clip over the CPU but I got an “ERROR 4 UUT CPU BUS REQUEST FAIL”. This means that the /HALT signal cannot be driven. Its at this point I found the “Getting Started” guide online. This states that the /HALT line cannot be tied to VCC. Breywood does indeed have this pin tied directly to VCC (and not even via a resistor). Thinking about it I probably caused this fault by not reading the manuals prior to using it. Time to break this thing open. 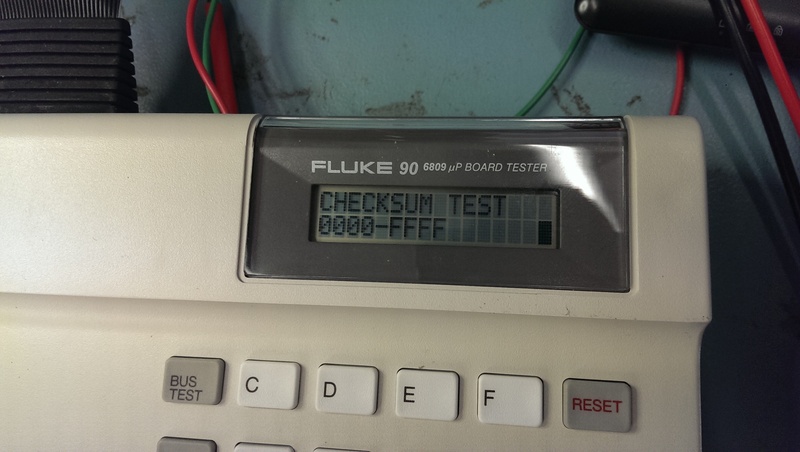 The Fluke 90 needs to be able to drive the /HALT pin and it also does a check on startup that it can do this. If it cannot drive the pin then it flags up the fail message. 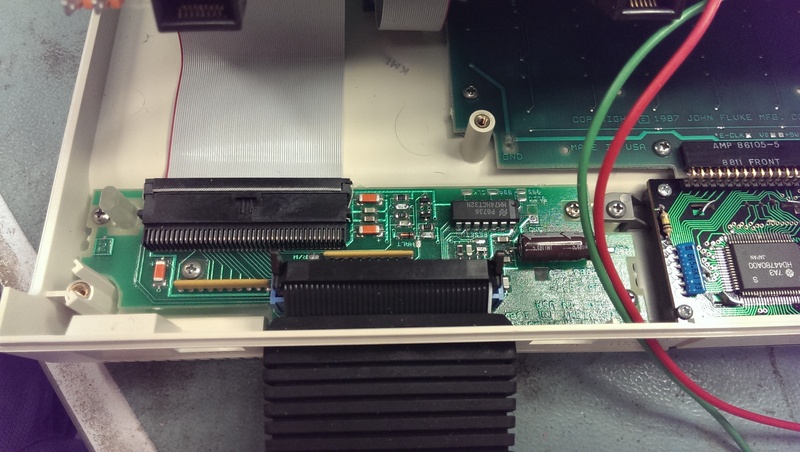 As you can see in the above picture there are a few discreet components for this section. Doing some quick poking around with the logic probe revealed that the emitter on one of the NPN transistor (towards the top on the picture) was dead. I removed the transistor and checked it out of circuit, sure enough it was dead. I replaced both of these transistors just in case and tested. Everything now seems to be working fine.